SIXTY years ago this August one of the greatest and most violent upheavals of the 20th century took place on the Indian subcontinent. 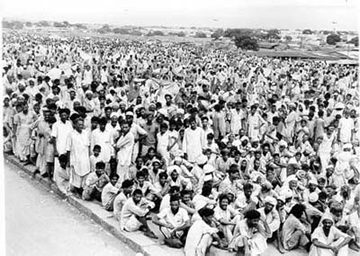 It was an event whose consequences were entirely unexpected and whose meaning was never fully spelled out or understood either by the politicians who took the decision or the millions of Muslims, Hindus and Sikhs who were to become its victims. By the end of the 19th century several nationalistic movements had started in India, while the Indian National Congress was calling for Britain to Quit India, the Muslim League, in 1943, passed a resolution for them to Divide and Quit. The British had followed a divide-and-rule policy in India. They had based their knowledge of the peoples of India on the basic religious texts and the intrinsic differences they found in them instead of on the way they coexisted in the present. The British were also still fearful of the potential threat from the Muslims, who were the former rulers of the subcontinent, ruling India for over 300 years under the Mughal Empire. There were several reasons for the birth of a separate Muslim homeland in the subcontinent, and all three parties-the British, the Congress and the Muslim League-were responsible. 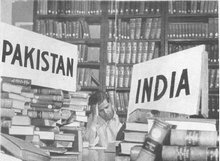 The announcement that India was to be partitioned and independence would follow not less than a year later was made in the House of Commons on June 3rd 1947. The break-up of Britain’s Indian empire involved the movement of some 12 million people, uprooted, ordered out, or fleeing their homes and seeking safety. Hundreds of thousands of people were killed, thousands of children disappeared, thousands of women were raped or abducted, forced conversions were commonplace. The violence polarised communities on the subcontinent as never before. 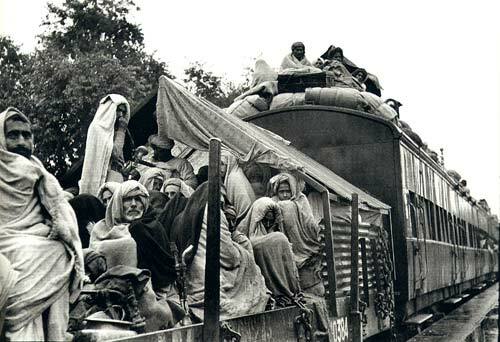 The pogroms and killings were organised by gangs, vigilantes and militias across northern, western and eastern India. They were often backed by local leaders, politicians from Congress and the Muslim League, maharajahs and princes, and helped by willing or frightened civil servants. 14 August, 1947, saw the birth of the new Islamic Republic of Pakistan. At midnight the next day India won its freedom from colonial rule, ending nearly 350 years of British presence in India. When Jawaharlal Nehru made his famous speech on August 15th declaring that at the midnight hour, when the world slept, India would awake to life and freedom, massacres were taking place almost daily on both sides of the line. Nehru later wondered if his fellow countrymen knew how close India had come to imploding. The violence was simply uncontrollable. Whether the partition of these countries was wise is still under debate. Even the imposition of an official boundary has not stopped conflict between them. 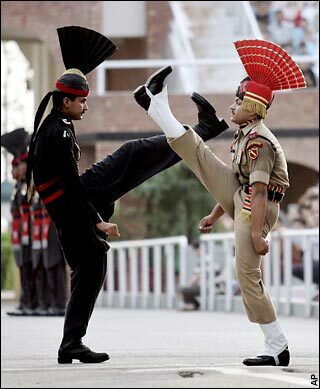 Boundary issues, left unresolved by the British, have caused two wars and continuing strife between India and Pakistan. So as the British left Israel in May 1948, handing the question of division over to the UN. Un-enforced UN Resolutions to map out boundaries between Israel and Palestine has led to several Arab-Israeli wars and the conflict still continues. More …. Why Was Gandhi Never Awarded the Nobel Peace Prize? I am pleased to read article on Gandhi’s Nobel Prize. I would like to know more about the author of the paper. I’m glad to read this article. It was a great help in my studies. Thank you and continue the good work. Previous post: TOP GUN Tom Cruise amazed aviation experts !